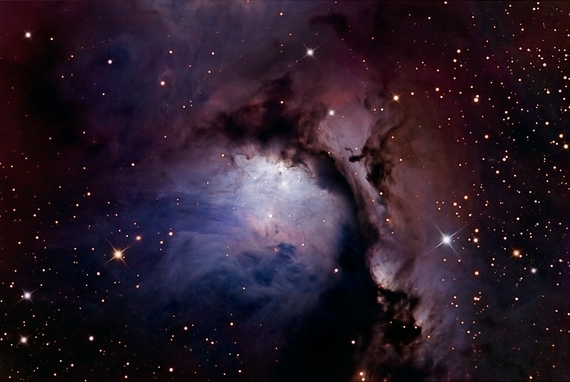 M78 (NGC2068) is one of the brightest diffuse reflection nebula in the sky. M78 was discovered by Pierre Méchain in early 1780 and Charles Messier added it to his catalog in1780. 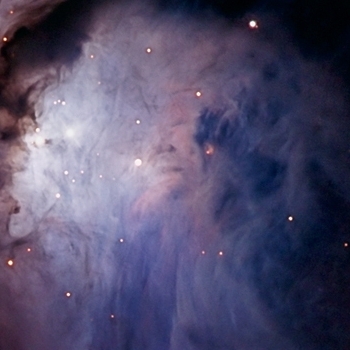 It belongs to the Orion complex, a large cloud of gas and dust centered on the Orion Nebula M42/M43, and is about 1,600 light years distant. Also visible in this image is NGC2067 -- the diffuse gaseous nebula associated with the stange dark nebula in the upper right of the M78, and NGC2064 -- the bright patch in the lower right of M78. To see an alternative (and more typical) processing of this object, click here. This version is an LHaRGB (240, 120, 150, 150, 150 minutes) with 15 minute subexposures for the LRGB data and 30 minute subexposures for the Ha data. This is a good example of how different processing techniques can result in a completely different representation of the same data. 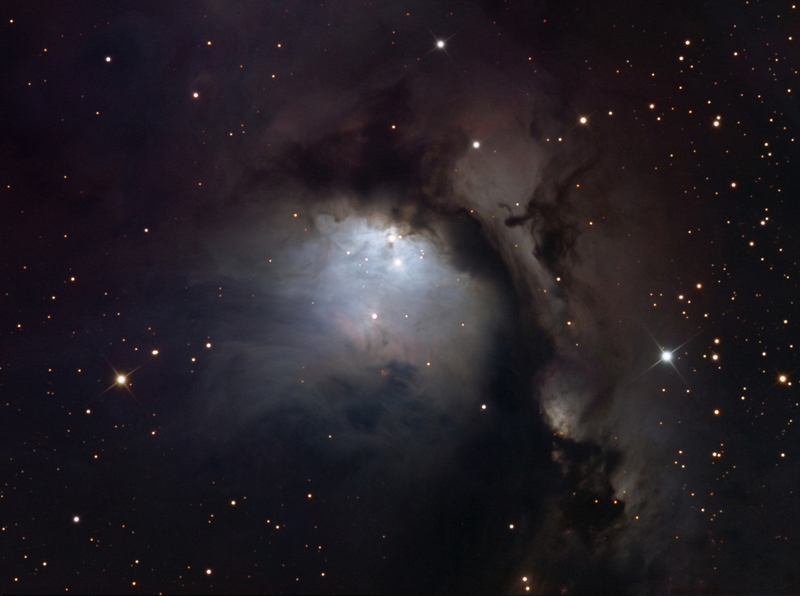 This image of M78 taken as the first image after the RCOS secondary holder was changed. Some of the data was collected on January 22, 2006 between about 8PM and 12:30AM before the last quarter moon rose. The ambient temperature was pretty stable at 25 degrees F and the seeing was good with a FWHM average of 1.01 arc second as measured by the site seeing monitor. With the old style secondary holder the star images would have been distorted to a more triangular shape so the modification seems to have worked well.